The FDA has issued warning letters and demanded the stores detail their efforts to correct violations later this month. (WASHINGTON) — The Food and Drug Administration has put more than a dozen U.S. stores on notice as part of the agency’s effort to limit youth access to e-cigarettes. FDA Commissioner Scott Gottlieb on Monday named Walgreens, 7-Eleven and Exxon, among more than a dozen stores, for repeatedly selling tobacco products to minors. The FDA classifies nicotine products including e-cigarettes and other electronic vapor devices as tobacco products. The FDA has issued warning letters and demanded the stores detail their efforts to correct violations later this month. Gottlieb has requested a meeting with Walgreens corporate management to discuss the pharmacy giant’s nearly 1,800 violations, as documented by the FDA. “This cannot possibly come as a surprise to corporate leadership, which is why I want to sit down with them to discuss the important role they play, as a nationwide retailer, in curbing this epidemic,” Gottlieb said in a statement. The new measures come after Gottlieb has reportedly taken steps towards enacting a plan to restrict flavored e-cigarettes and ban menthol cigarettes in stores across the country. The FDA first announced the plan in November, as ABC News reported at the time. Under the new restrictions, stores would have to sell flavored nicotine vape products in “age-restricted” areas. This means a retailer could not allow anyone under the age of 18 to see or enter the area where those products are sold. 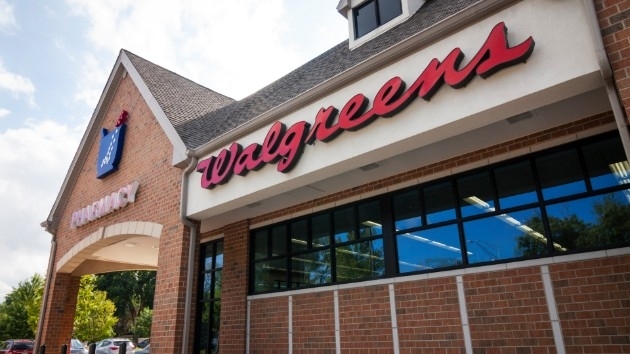 In response to questions from ABC News, Walgreens said it’s making their tobacco products less prominently displayed in stores and has taken action to promote tobacco alternatives. Commissioner Gottlieb has been a vocal critic of what he calls an “epidemic” of e-cigarette use by kids and teens.